"Age of reason" redirects here. For other uses, see Age of reason (disambiguation). The Age of Enlightenment (also known as the Age of Reason or simply the Enlightenment) was an intellectual and philosophical movement that dominated the world of ideas in Europe during the 18th century, the "Century of Philosophy". Some consider Descartes' 1637 statement "I think, therefore I am" to have sparked the period. Others cite the publication of Isaac Newton's Principia Mathematica (1687). French historians traditionally date the Enlightenment from 1715 to 1789, from the beginning of the reign of Louis XV until the French Revolution. Most end it with the turn of the 19th century. Philosophers and scientists of the period widely circulated their ideas through meetings at scientific academies, Masonic lodges, literary salons, coffeehouses and in printed books, journals, and pamphlets. The ideas of the Enlightenment undermined the authority of the monarchy and the Church and paved the way for the political revolutions of the 18th and 19th centuries. A variety of 19th-century movements, including liberalism and neo-classicism, trace their intellectual heritage to the Enlightenment. The Enlightenment included a range of ideas centered on reason as the primary source of knowledge and advanced ideals such as liberty, progress, toleration, fraternity, constitutional government and separation of church and state. In France, the central doctrines of the Enlightenment philosophers were individual liberty and religious tolerance, in opposition to an absolute monarchy and the fixed dogmas of the Roman Catholic Church. The Enlightenment was marked by an emphasis on the scientific method and reductionism, along with increased questioning of religious orthodoxy—an attitude captured by the phrase Sapere aude (Dare to know). The Age of Enlightenment was preceded by and closely associated with the scientific revolution. Earlier philosophers whose work influenced the Enlightenment included Bacon, Descartes, Locke, and Spinoza. The major figures of the Enlightenment included Beccaria, Diderot, Hume, Kant, Montesquieu, Rousseau, Adam Smith, and Voltaire. Some European rulers, including Catherine II of Russia, Joseph II of Austria and Frederick II of Prussia, tried to apply Enlightenment thought on religious and political tolerance, which became known as enlightened absolutism. Benjamin Franklin visited Europe repeatedly and contributed actively to the scientific and political debates there and brought the newest ideas back to Philadelphia. Thomas Jefferson closely followed European ideas and later incorporated some of the ideals of the Enlightenment into the Declaration of Independence (1776). One of his peers, James Madison, incorporated these ideals into the United States Constitution during its framing in 1787. The most influential publication of the Enlightenment was the Encyclopédie (Encyclopaedia). Published between 1751 and 1772 in thirty-five volumes, it was compiled by Diderot, d'Alembert (until 1759) and a team of 150 scientists and philosophers. It helped spread the ideas of the Enlightenment across Europe and beyond. Other landmark publications were Voltaire's Dictionnaire philosophique (Philosophical Dictionary; 1764) and Letters on the English (1733); Rousseau's Discourse on Inequality (1754) and The Social Contract (1762); Adam Smith's The Theory of Moral Sentiments (1759) and The Wealth of Nations (1776); and Montesquieu's The Spirit of the Laws (1748). The ideas of the Enlightenment played a major role in inspiring the French Revolution, which began in 1789. After the Revolution, the Enlightenment was followed by the intellectual movement known as Romanticism. René Descartes' rationalist philosophy laid the foundation for enlightenment thinking. His attempt to construct the sciences on a secure metaphysical foundation was not as successful as his method of doubt applied in philosophic areas leading to a dualistic doctrine of mind and matter. His skepticism was refined by John Locke's Essay Concerning Human Understanding (1690) and David Hume's writings in the 1740s. His dualism was challenged by Spinoza's uncompromising assertion of the unity of matter in his Tractatus (1670) and Ethics (1677). These laid down two distinct lines of Enlightenment thought: first, the moderate variety, following Descartes, Locke and Christian Wolff, which sought accommodation between reform and the traditional systems of power and faith, and second, the radical enlightenment, inspired by the philosophy of Spinoza, advocating democracy, individual liberty, freedom of expression and eradication of religious authority. The moderate variety tended to be deistic, whereas the radical tendency separated the basis of morality entirely from theology. Both lines of thought were eventually opposed by a conservative Counter-Enlightenment, which sought a return to faith. In the mid-18th century, Paris became the center of an explosion of philosophic and scientific activity challenging traditional doctrines and dogmas. The philosophic movement was led by Voltaire and Jean-Jacques Rousseau, who argued for a society based upon reason as in ancient Greece rather than faith and Catholic doctrine, for a new civil order based on natural law, and for science based on experiments and observation. The political philosopher Montesquieu introduced the idea of a separation of powers in a government, a concept which was enthusiastically adopted by the authors of the United States Constitution. While the Philosophes of the French Enlightenment were not revolutionaries and many were members of the nobility, their ideas played an important part in undermining the legitimacy of the Old Regime and shaping the French Revolution. Francis Hutcheson, a moral philosopher, described the utilitarian and consequentialist principle that virtue is that which provides, in his words, "the greatest happiness for the greatest numbers". Much of what is incorporated in the scientific method (the nature of knowledge, evidence, experience and causation) and some modern attitudes towards the relationship between science and religion were developed by his protégés David Hume and Adam Smith. Hume became a major figure in the skeptical philosophical and empiricist traditions of philosophy. Immanuel Kant (1724–1804) tried to reconcile rationalism and religious belief, individual freedom and political authority, as well as map out a view of the public sphere through private and public reason. 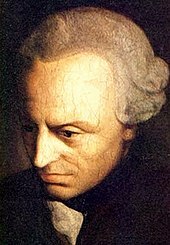 Kant's work continued to shape German thought and indeed all of European philosophy, well into the 20th century. Mary Wollstonecraft was one of England's earliest feminist philosophers. She argued for a society based on reason and that women as well as men should be treated as rational beings. She is best known for her work A Vindication of the Rights of Woman (1791). Science played an important role in Enlightenment discourse and thought. Many Enlightenment writers and thinkers had backgrounds in the sciences and associated scientific advancement with the overthrow of religion and traditional authority in favour of the development of free speech and thought. Scientific progress during the Enlightenment included the discovery of carbon dioxide (fixed air) by the chemist Joseph Black, the argument for deep time by the geologist James Hutton and the invention of the condensing steam engine by James Watt. 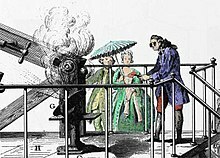 The experiments of Lavoisier were used to create the first modern chemical plants in Paris and the experiments of the Montgolfier Brothers enabled them to launch the first manned flight in a hot-air balloon on 21 November 1783 from the Château de la Muette, near the Bois de Boulogne. Broadly speaking, Enlightenment science greatly valued empiricism and rational thought and was embedded with the Enlightenment ideal of advancement and progress. The study of science, under the heading of natural philosophy, was divided into physics and a conglomerate grouping of chemistry and natural history, which included anatomy, biology, geology, mineralogy and zoology. As with most Enlightenment views, the benefits of science were not seen universally: Rousseau criticized the sciences for distancing man from nature and not operating to make people happier. Science during the Enlightenment was dominated by scientific societies and academies, which had largely replaced universities as centres of scientific research and development. Societies and academies were also the backbone of the maturation of the scientific profession. Another important development was the popularization of science among an increasingly literate population. Philosophes introduced the public to many scientific theories, most notably through the Encyclopédie and the popularization of Newtonianism by Voltaire and Émilie du Châtelet. Some historians have marked the 18th century as a drab period in the history of science. However, the century saw significant advancements in the practice of medicine, mathematics and physics; the development of biological taxonomy; a new understanding of magnetism and electricity; and the maturation of chemistry as a discipline, which established the foundations of modern chemistry. Scientific academies and societies grew out of the Scientific Revolution as the creators of scientific knowledge in contrast to the scholasticism of the university. During the Enlightenment, some societies created or retained links to universities, but contemporary sources distinguished universities from scientific societies by claiming that the university's utility was in the transmission of knowledge while societies functioned to create knowledge. As the role of universities in institutionalized science began to diminish, learned societies became the cornerstone of organized science. Official scientific societies were chartered by the state in order to provide technical expertise. Most societies were granted permission to oversee their own publications, control the election of new members and the administration of the society. After 1700, a tremendous number of official academies and societies were founded in Europe and by 1789 there were over seventy official scientific societies. 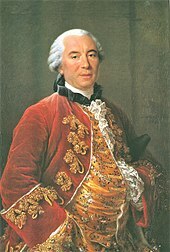 In reference to this growth, Bernard de Fontenelle coined the term "the Age of Academies" to describe the 18th century. The influence of science also began appearing more commonly in poetry and literature during the Enlightenment. Some poetry became infused with scientific metaphor and imagery, while other poems were written directly about scientific topics. Sir Richard Blackmore committed the Newtonian system to verse in Creation, a Philosophical Poem in Seven Books (1712). After Newton's death in 1727, poems were composed in his honour for decades. James Thomson (1700–1748) penned his "Poem to the Memory of Newton", which mourned the loss of Newton, but also praised his science and legacy. Hume and other Scottish Enlightenment thinkers developed a "science of man", which was expressed historically in works by authors including James Burnett, Adam Ferguson, John Millar and William Robertson, all of whom merged a scientific study of how humans behaved in ancient and primitive cultures with a strong awareness of the determining forces of modernity. Modern sociology largely originated from this movement and Hume's philosophical concepts that directly influenced James Madison (and thus the U.S. Constitution) and as popularised by Dugald Stewart, would be the basis of classical liberalism. 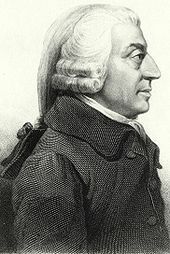 In 1776, Adam Smith published The Wealth of Nations, often considered the first work on modern economics as it had an immediate impact on British economic policy that continues into the 21st century. It was immediately preceded and influenced by Anne-Robert-Jacques Turgot, Baron de Laune drafts of Reflections on the Formation and Distribution of Wealth (Paris, 1766). Smith acknowledged indebtedness and possibly was the original English translator. 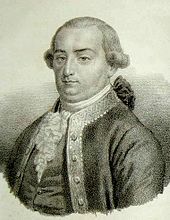 Cesare Beccaria, a jurist, criminologist, philosopher and politician and one of the great Enlightenment writers, became famous for his masterpiece Of Crimes and Punishments (1764), later translated into 22 languages, which condemned torture and the death penalty and was a founding work in the field of penology and the Classical School of criminology by promoting criminal justice. Another prominent intellectual was Francesco Mario Pagano, who wrote important studies such as Saggi Politici (Political Essays, 1783), one of the major works of the Enlightenment in Naples; and Considerazioni sul processo criminale (Considerations on the criminal trial, 1787), which established him as an international authority on criminal law. The Enlightenment has long been hailed as the foundation of modern Western political and intellectual culture. The Enlightenment brought political modernization to the West, in terms of introducing democratic values and institutions and the creation of modern, liberal democracies. This thesis has been widely accepted by Anglophone scholars and has been reinforced by the large-scale studies by Robert Darnton, Roy Porter and most recently by Jonathan Israel. John Locke, one of the most influential Enlightenment thinkers, based his governance philosophy in social contract theory, a subject that permeated Enlightenment political thought. The English philosopher Thomas Hobbes ushered in this new debate with his work Leviathan in 1651. Hobbes also developed some of the fundamentals of European liberal thought: the right of the individual; the natural equality of all men; the artificial character of the political order (which led to the later distinction between civil society and the state); the view that all legitimate political power must be "representative" and based on the consent of the people; and a liberal interpretation of law which leaves people free to do whatever the law does not explicitly forbid. Both Locke and Rousseau developed social contract theories in Two Treatises of Government and Discourse on Inequality, respectively. While quite different works, Locke, Hobbes and Rousseau agreed that a social contract, in which the government's authority lies in the consent of the governed, is necessary for man to live in civil society. Locke defines the state of nature as a condition in which humans are rational and follow natural law, in which all men are born equal and with the right to life, liberty and property. However, when one citizen breaks the Law of Nature both the transgressor and the victim enter into a state of war, from which it is virtually impossible to break free. Therefore, Locke said that individuals enter into civil society to protect their natural rights via an "unbiased judge" or common authority, such as courts, to appeal to. Contrastingly, Rousseau's conception relies on the supposition that "civil man" is corrupted, while "natural man" has no want he cannot fulfill himself. Natural man is only taken out of the state of nature when the inequality associated with private property is established. 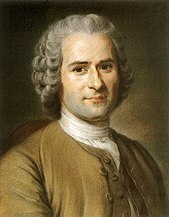 Rousseau said that people join into civil society via the social contract to achieve unity while preserving individual freedom. This is embodied in the sovereignty of the general will, the moral and collective legislative body constituted by citizens. Locke is known for his statement that individuals have a right to "Life, Liberty and Property" and his belief that the natural right to property is derived from labor. Tutored by Locke, Anthony Ashley-Cooper, 3rd Earl of Shaftesbury wrote in 1706: "There is a mighty Light which spreads its self over the world especially in those two free Nations of England and Holland; on whom the Affairs of Europe now turn". Locke's theory of natural rights has influenced many political documents, including the United States Declaration of Independence and the French National Constituent Assembly's Declaration of the Rights of Man and of the Citizen. The philosophes argued that the establishment of a contractual basis of rights would lead to the market mechanism and capitalism, the scientific method, religious tolerance and the organization of states into self-governing republics through democratic means. In this view, the tendency of the philosophes in particular to apply rationality to every problem is considered the essential change. Although much of Enlightenment political thought was dominated by social contract theorists, both David Hume and Adam Ferguson criticized this camp. Hume's essay Of the Original Contract argues that governments derived from consent are rarely seen and civil government is grounded in a ruler's habitual authority and force. It is precisely because of the ruler's authority over-and-against the subject, that the subject tacitly consents and Hume says that the subjects would "never imagine that their consent made him sovereign", rather the authority did so. Similarly, Ferguson did not believe citizens built the state, rather polities grew out of social development. In his 1767 An Essay on the History of Civil Society, Ferguson uses the four stages of progress, a theory that was very popular in Scotland at the time, to explain how humans advance from a hunting and gathering society to a commercial and civil society without "signing" a social contract. Both Rousseau and Locke's social contract theories rest on the presupposition of natural rights, which are not a result of law or custom, but are things that all men have in pre-political societies and are therefore universal and inalienable. The most famous natural right formulation comes from John Locke in his Second Treatise, when he introduces the state of nature. For Locke, the law of nature is grounded on mutual security or the idea that one cannot infringe on another's natural rights, as every man is equal and has the same inalienable rights. These natural rights include perfect equality and freedom, as well as the right to preserve life and property. Locke also argued against slavery on the basis that enslaving yourself goes against the law of nature because you cannot surrender your own rights, your freedom is absolute and no one can take it from you. Additionally, Locke argues that one person cannot enslave another because it is morally reprehensible, although he introduces a caveat by saying that enslavement of a lawful captive in time of war would not go against one's natural rights. As a spillover of the Enlightenment, nonsecular beliefs expressed first by Quakers and then by Protestant evangelicals in Britain and the United States emerged. To these groups, slavery became "repugnant to our religion" and a "crime in the sight of God." These ideas added to those expressed by Enlightenment thinkers, leading many in Britain to believe that slavery was "not only morally wrong and economically inefficient, but also politically unwise." As these notions gained more adherents, Britain was forced to end its participation in the slave trade. The leaders of the Enlightenment were not especially democratic, as they more often look to absolute monarchs as the key to imposing reforms designed by the intellectuals. Voltaire despised democracy and said the absolute monarch must be enlightened and must act as dictated by reason and justice – in other words, be a "philosopher-king". In several nations, rulers welcomed leaders of the Enlightenment at court and asked them to help design laws and programs to reform the system, typically to build stronger states. These rulers are called "enlightened despots" by historians. They included Frederick the Great of Prussia, Catherine the Great of Russia, Leopold II of Tuscany and Joseph II of Austria. Joseph was over-enthusiastic, announcing many reforms that had little support so that revolts broke out and his regime became a comedy of errors and nearly all his programs were reversed. Senior ministers Pombal in Portugal and Johann Friedrich Struensee in Denmark also governed according to Enlightenment ideals. In Poland, the model constitution of 1791 expressed Enlightenment ideals, but was in effect for only one year before the nation was partitioned among its neighbors. More enduring were the cultural achievements, which created a nationalist spirit in Poland. Frederick the Great, the king of Prussia from 1740 to 1786, saw himself as a leader of the Enlightenment and patronized philosophers and scientists at his court in Berlin. Voltaire, who had been imprisoned and maltreated by the French government, was eager to accept Frederick's invitation to live at his palace. Frederick explained: "My principal occupation is to combat ignorance and prejudice ... to enlighten minds, cultivate morality, and to make people as happy as it suits human nature, and as the means at my disposal permit". The Enlightenment has been frequently linked to the French Revolution of 1789. One view of the political changes that occurred during the Enlightenment is that the "consent of the governed" philosophy as delineated by Locke in Two Treatises of Government (1689) represented a paradigm shift from the old governance paradigm under feudalism known as the "divine right of kings". In this view, the revolutions of the late 1700s and early 1800s were caused by the fact that this governance paradigm shift often could not be resolved peacefully and therefore violent revolution was the result. Clearly a governance philosophy where the king was never wrong was in direct conflict with one whereby citizens by natural law had to consent to the acts and rulings of their government. Alexis de Tocqueville proposed the French Revolution as the inevitable result of the radical opposition created in the 18th century between the monarchy and the men of letters of the Enlightenment. These men of letters constituted a sort of "substitute aristocracy that was both all-powerful and without real power". This illusory power came from the rise of "public opinion", born when absolutist centralization removed the nobility and the bourgeoisie from the political sphere. The "literary politics" that resulted promoted a discourse of equality and was hence in fundamental opposition to the monarchical regime. De Tocqueville "clearly designates ... the cultural effects of transformation in the forms of the exercise of power". Enlightenment era religious commentary was a response to the preceding century of religious conflict in Europe, especially the Thirty Years' War. Theologians of the Enlightenment wanted to reform their faith to its generally non-confrontational roots and to limit the capacity for religious controversy to spill over into politics and warfare while still maintaining a true faith in God. For moderate Christians, this meant a return to simple Scripture. John Locke abandoned the corpus of theological commentary in favor of an "unprejudiced examination" of the Word of God alone. He determined the essence of Christianity to be a belief in Christ the redeemer and recommended avoiding more detailed debate. In the Jefferson Bible, Thomas Jefferson went further and dropped any passages dealing with miracles, visitations of angels and the resurrection of Jesus after his death, as he tried to extract the practical Christian moral code of the New Testament. Enlightenment scholars sought to curtail the political power of organized religion and thereby prevent another age of intolerant religious war. Spinoza determined to remove politics from contemporary and historical theology (e.g., disregarding Judaic law). Moses Mendelssohn advised affording no political weight to any organized religion, but instead recommended that each person follow what they found most convincing. They believed a good religion based in instinctive morals and a belief in God should not theoretically need force to maintain order in its believers, and both Mendelssohn and Spinoza judged religion on its moral fruits, not the logic of its theology. A number of novel ideas about religion developed with the Enlightenment, including deism and talk of atheism. According to Thomas Paine, deism is the simple belief in God the Creator, with no reference to the Bible or any other miraculous source. Instead, the deist relies solely on personal reason to guide his creed, which was eminently agreeable to many thinkers of the time. Atheism was much discussed, but there were few proponents. Wilson and Reill note: "In fact, very few enlightened intellectuals, even when they were vocal critics of Christianity, were true atheists. Rather, they were critics of orthodox belief, wedded rather to skepticism, deism, vitalism, or perhaps pantheism". 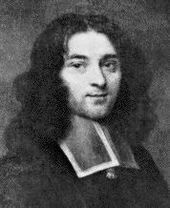 Some followed Pierre Bayle and argued that atheists could indeed be moral men. Many others like Voltaire held that without belief in a God who punishes evil, the moral order of society was undermined. That is, since atheists gave themselves to no Supreme Authority and no law and had no fear of eternal consequences, they were far more likely to disrupt society. Bayle (1647–1706) observed that, in his day, "prudent persons will always maintain an appearance of [religion]," and he believed that even atheists could hold concepts of honor and go beyond their own self-interest to create and interact in society. Locke said that if there were no God and no divine law, the result would be moral anarchy: every individual "could have no law but his own will, no end but himself. He would be a god to himself, and the satisfaction of his own will the sole measure and end of all his actions." The "Radical Enlightenment" promoted the concept of separating church and state, an idea that is often credited to English philosopher John Locke (1632–1704). According to his principle of the social contract, Locke said that the government lacked authority in the realm of individual conscience, as this was something rational people could not cede to the government for it or others to control. For Locke, this created a natural right in the liberty of conscience, which he said must therefore remain protected from any government authority. These views on religious tolerance and the importance of individual conscience, along with the social contract, became particularly influential in the American colonies and the drafting of the United States Constitution. Thomas Jefferson called for a "wall of separation between church and state" at the federal level. He previously had supported successful efforts to disestablish the Church of England in Virginia and authored the Virginia Statute for Religious Freedom. Jefferson's political ideals were greatly influenced by the writings of John Locke, Francis Bacon, and Isaac Newton, whom he considered the three greatest men that ever lived. The Enlightenment took hold in most European countries, often with a specific local emphasis. For example, in France it became associated with anti-government and anti-Church radicalism, while in Germany it reached deep into the middle classes, where it expressed a spiritualistic and nationalistic tone without threatening governments or established churches. Government responses varied widely. In France, the government was hostile, and the philosophes fought against its censorship, sometimes being imprisoned or hounded into exile. The British government, for the most part, ignored the Enlightenment's leaders in England and Scotland, although it did give Isaac Newton a knighthood and a very lucrative government office. The very existence of an English Enlightenment has been hotly debated by scholars. The majority of textbooks on British history make little or no mention of an English Enlightenment. Some surveys of the entire Enlightenment include England and others ignore it, although they do include coverage of such major intellectuals as Joseph Addison, Edward Gibbon, John Locke, Isaac Newton, Alexander Pope, Joshua Reynolds and Jonathan Swift. Roy Porter argues that the reasons for this neglect were the assumptions that the movement was primarily French-inspired, that it was largely a-religious or anti-clerical, and that it stood in outspoken defiance to the established order. Porter admits that, after the 1720s, England could claim thinkers to equal Diderot, Voltaire or Rousseau. However, its leading intellectuals such as Edward Gibbon, Edmund Burke and Samuel Johnson were all quite conservative and supportive of the standing order. Porter says the reason was that Enlightenment had come early to England and had succeeded so that the culture had accepted political liberalism, philosophical empiricism, and religious toleration of the sort that intellectuals on the continent had to fight for against powerful odds. Furthermore, England rejected the collectivism of the continent and emphasized the improvement of individuals as the main goal of enlightenment. In the Scottish Enlightenment, Scotland's major cities created an intellectual infrastructure of mutually supporting institutions such as universities, reading societies, libraries, periodicals, museums and masonic lodges. The Scottish network was "predominantly liberal Calvinist, Newtonian, and 'design' oriented in character which played a major role in the further development of the transatlantic Enlightenment". In France, Voltaire said that "we look to Scotland for all our ideas of civilization". The focus of the Scottish Enlightenment ranged from intellectual and economic matters to the specifically scientific as in the work of William Cullen, physician and chemist; James Anderson, an agronomist; Joseph Black, physicist and chemist; and James Hutton, the first modern geologist. Several Americans, especially Benjamin Franklin and Thomas Jefferson, played a major role in bringing Enlightenment ideas to the New World and in influencing British and French thinkers. Franklin was influential for his political activism and for his advances in physics. The cultural exchange during the Age of Enlightenment ran in both directions across the Atlantic. Thinkers such as Paine, Locke and Rousseau all take Native American cultural practices as examples of natural freedom. The Americans closely followed English and Scottish political ideas, as well as some French thinkers such as Montesquieu. As deists, they were influenced by ideas of John Toland (1670–1722) and Matthew Tindal (1656–1733). During the Enlightenment there was a great emphasis upon liberty, republicanism and religious tolerance. There was no respect for monarchy or inherited political power. Deists reconciled science and religion by rejecting prophecies, miracles and Biblical theology. Leading deists included Thomas Paine in The Age of Reason and by Thomas Jefferson in his short Jefferson Bible – from which all supernatural aspects were removed. Prussia took the lead among the German states in sponsoring the political reforms that Enlightenment thinkers urged absolute rulers to adopt. There were important movements as well in the smaller states of Bavaria, Saxony, Hanover and the Palatinate. In each case, Enlightenment values became accepted and led to significant political and administrative reforms that laid the groundwork for the creation of modern states. The princes of Saxony, for example, carried out an impressive series of fundamental fiscal, administrative, judicial, educational, cultural and general economic reforms. The reforms were aided by the country's strong urban structure and influential commercial groups and modernized pre-1789 Saxony along the lines of classic Enlightenment principles..
Before 1750, the German upper classes looked to France for intellectual, cultural and architectural leadership, as French was the language of high society. 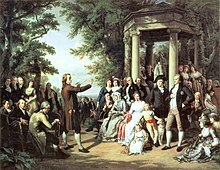 By the mid-18th century, the Aufklärung (The Enlightenment) had transformed German high culture in music, philosophy, science and literature. 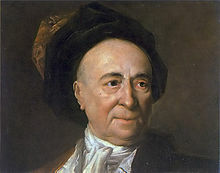 Christian Wolff (1679–1754) was the pioneer as a writer who expounded the Enlightenment to German readers and legitimized German as a philosophic language. Johann Gottfried von Herder (1744–1803) broke new ground in philosophy and poetry, as a leader of the Sturm und Drang movement of proto-Romanticism. Weimar Classicism (Weimarer Klassik) was a cultural and literary movement based in Weimar that sought to establish a new humanism by synthesizing Romantic, classical and Enlightenment ideas. The movement (from 1772 until 1805) involved Herder as well as polymath Johann Wolfgang von Goethe (1749–1832) and Friedrich Schiller (1759–1805), a poet and historian. Herder argued that every folk had its own particular identity, which was expressed in its language and culture. This legitimized the promotion of German language and culture and helped shape the development of German nationalism. Schiller's plays expressed the restless spirit of his generation, depicting the hero's struggle against social pressures and the force of destiny. German music, sponsored by the upper classes, came of age under composers Johann Sebastian Bach (1685–1750), Joseph Haydn (1732–1809) and Wolfgang Amadeus Mozart (1756–1791). In remote Königsberg, philosopher Immanuel Kant (1724–1804) tried to reconcile rationalism and religious belief, individual freedom and political authority. Kant's work contained basic tensions that would continue to shape German thought – and indeed all of European philosophy – well into the 20th century. The German Enlightenment won the support of princes, aristocrats and the middle classes and it permanently reshaped the culture. However, there was a conservatism among the elites that warned against going too far. In the 1780s, Lutheran ministers Johann Heinrich Schulz and Karl Wilhelm Brumbey got in trouble with their preaching as they were attacked and ridiculed by Immanuel Kant, Wilhelm Abraham Teller and others. In 1788, Prussia issued an "Edict on Religion" that forbade preaching any sermon that undermined popular belief in the Holy Trinity and the Bible. The goal was to avoid skepticism, deism and theological disputes that might impinge on domestic tranquility. Men who doubted the value of Enlightenment favoured the measure, but so too did many supporters. German universities had created a closed elite that could debate controversial issues among themselves, but spreading them to the public was seen as too risky. This intellectual elite was favoured by the state, but that might be reversed if the process of the Enlightenment proved politically or socially destabilizing. The Enlightenment played a distinctive, if small, role in the history of Italy. Although most of Italy was controlled by conservative Habsburgs or the pope, Tuscany had some opportunities for reform. Leopold II of Tuscany abolished the death penalty in Tuscany and reduced censorship. From Naples, Antonio Genovesi (1713–1769) influenced a generation of southern Italian intellectuals and university students. His textbook "Diceosina, o Sia della Filosofia del Giusto e dell'Onesto" (1766) was a controversial attempt to mediate between the history of moral philosophy on the one hand and the specific problems encountered by 18th-century commercial society on the other. It contained the greater part of Genovesi's political, philosophical and economic thought – guidebook for Neapolitan economic and social development. Science flourished as Alessandro Volta and Luigi Galvani made break-through discoveries in electricity. Pietro Verri was a leading economist in Lombardy. Historian Joseph Schumpeter states he was "the most important pre-Smithian authority on Cheapness-and-Plenty". The most influential scholar on the Italian Enlightenment has been Franco Venturi. Italy also produced some of the Enlightenment's greatest legal theorists, including Cesare Beccaria, Giambattista Vico and Francesco Mario Pagano. Beccaria in particular is now considered one of the fathers of classical criminal theory as well as modern penology. Beccaria is famous for his masterpiece On Crimes and Punishments (1764), a treatise (later translated into 22 languages) that served as one of the earliest prominent condemnations of torture and the death penalty and thus a landmark work in anti-death penalty philosophy. In Russia, the government began to actively encourage the proliferation of arts and sciences in the mid-18th century. This era produced the first Russian university, library, theatre, public museum and independent press. Like other enlightened despots, Catherine the Great played a key role in fostering the arts, sciences and education. She used her own interpretation of Enlightenment ideals, assisted by notable international experts such as Voltaire (by correspondence) and in residence world class scientists such as Leonhard Euler and Peter Simon Pallas. The national Enlightenment differed from its Western European counterpart in that it promoted further modernization of all aspects of Russian life and was concerned with attacking the institution of serfdom in Russia. The Russian enlightenment centered on the individual instead of societal enlightenment and encouraged the living of an enlightened life. A powerful element was prosveshchenie which combined religious piety, erudition and commitment to the spread of learning. However, it lacked the skeptical and critical spirit of the European Enlightenment. 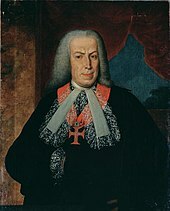 The enlightenment in Portugal (iluminismo) was marked by the rule of the Prime Minister Marquis of Pombal under King Joseph I of Portugal from 1756 to 1777. Following the 1755 Lisbon earthquake which destroyed great part of Lisbon, the Marquis of Pombal implemented important economic policies to regulate commercial activity (in particular with Brazil and England), and to standardise quality throughout the country (for example by introducing the first integrated industries in Portugal). His reconstruction of Lisbon's riverside district in straight and perpendicular streets, methodically organized to facilitate commerce and exchange (for example by assigning to each street a different product or service), can be seen as a direct application of the Enlightenment ideas to governance and urbanism. His urbanistic ideas, also being the first large-scale example of earthquake engineering, became collectively known as Pombaline style, and were implemented throughout the kingdom during his stay in office. His governance was as enlightened as ruthless, see for example the Távora affair. In literature, the first Enlightenment ideas in Portugal can be traced back to the diplomat, philosopher, and writer António Vieira (1608-1697), who spent a considerable amount of his life in colonial Brazil denouncing discriminations against New Christians and the Indigenous peoples in Brazil. His works remain today as one of the best pieces of Portuguese literature. During the 18th century, enlightened literary movements such as the Arcádia Lusitana (lasting from 1756 until 1776, then replaced by the Nova Arcádia in 1790 until 1794) surfaced in the academic medium, in particular involving former students of the University of Coimbra. A distinct member of this group was the poet Manuel Maria Barbosa du Bocage. The ideas of the enlightenment also influenced various economists and anti-colonial intellectuals throughout the Portuguese Empire, such as José de Azeredo Coutinho, José da Silva Lisboa, Cláudio Manoel da Costa, and Tomás de Antônio Gonzaga. Enlightenment ideas (oświecenie) emerged late in Poland, as the Polish middle class was weaker and szlachta (nobility) culture (Sarmatism) together with the Polish-Lithuanian Commonwealth political system (Golden Liberty) were in deep crisis. The political system was built on republicanism, but was unable to defend itself against powerful neighbors Russia, Prussia and Austria as they repeatedly sliced off regions until nothing was left of independent Poland. 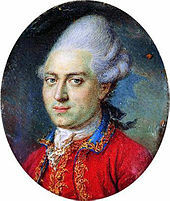 The period of Polish Enlightenment began in the 1730s–1740s and especially in theatre and the arts peaked in the reign of King Stanisław August Poniatowski (second half of the 18th century). Warsaw was a main centre after 1750, with an expansion of schools and educational institutions and the arts patronage held at the Royal Castle. Leaders promoted tolerance and more education. They included King Stanislaw II Poniatowski and reformers Piotr Switkowski, Antoni Poplawski, Josef Niemcewicz and Jósef Pawlinkowski, as well as Baudouin de Cortenay, a Polonized dramatist. Opponents included Florian Jaroszewicz, Gracjan Piotrowski, Karol Wyrwicz and Wojciech Skarszewski. The movement went into decline with the Third Partition of Poland (1795) – a national tragedy inspiring a short period of sentimental writing – and ended in 1822, replaced by Romanticism. The Enlightenment has always been contested territory. According to Keith Thomas, its supporters "hail it as the source of everything that is progressive about the modern world. For them, it stands for freedom of thought, rational inquiry, critical thinking, religious tolerance, political liberty, scientific achievement, the pursuit of happiness, and hope for the future." Thomas adds that its detractors accuse it of shallow rationalism, naïve optimism, unrealistic universalism and moral darkness. From the start, conservative and clerical defenders of traditional religion attacked materialism and skepticism as evil forces that encouraged immorality. By 1794, they pointed to the Terror during the French Revolution as confirmation of their predictions. As the Enlightenment was ending, Romantic philosophers argued that excessive dependence on reason was a mistake perpetuated by the Enlightenment because it disregarded the bonds of history, myth, faith, and tradition that were necessary to hold society together. The term "Enlightenment" emerged in English in the later part of the 19th century, with particular reference to French philosophy, as the equivalent of the French term Lumières (used first by Dubos in 1733 and already well established by 1751). From Immanuel Kant's 1784 essay "Beantwortung der Frage: Was ist Aufklärung?" ("Answering the Question: What is Enlightenment? "), the German term became Aufklärung (aufklären = to illuminate; sich aufklären = to clear up). However, scholars have never agreed on a definition of the Enlightenment, or on its chronological or geographical extent. Terms like les Lumières (French), illuminismo (Italian), ilustración (Spanish) and Aufklärung (German) referred to partly overlapping movements. Not until the late nineteenth century did English scholars agree they were talking about "the Enlightenment". If there is something you know, communicate it. If there is something you don't know, search for it. Enlightenment historiography began in the period itself, from what Enlightenment figures said about their work. A dominant element was the intellectual angle they took. D'Alembert's Preliminary Discourse of l'Encyclopédie provides a history of the Enlightenment which comprises a chronological list of developments in the realm of knowledge – of which the Encyclopédie forms the pinnacle. In 1783, Jewish philosopher Moses Mendelssohn referred to Enlightenment as a process by which man was educated in the use of reason. Immanuel Kant called Enlightenment "man's release from his self-incurred tutelage", tutelage being "man's inability to make use of his understanding without direction from another". "For Kant, Enlightenment was mankind's final coming of age, the emancipation of the human consciousness from an immature state of ignorance". The German scholar Ernst Cassirer called the Enlightenment "a part and a special phase of that whole intellectual development through which modern philosophic thought gained its characteristic self-confidence and self-consciousness". According to historian Roy Porter, the liberation of the human mind from a dogmatic state of ignorance, is the epitome of what the Age of Enlightenment was trying to capture. Bertrand Russell saw the Enlightenment as a phase in a progressive development which began in antiquity and that reason and challenges to the established order were constant ideals throughout that time. Russell said that the Enlightenment was ultimately born out of the Protestant reaction against the Catholic counter-reformation and that philosophical views such as affinity for democracy against monarchy originated among 16th-century Protestants to justify their desire to break away from the Catholic Church. Although many of these philosophical ideals were picked up by Catholics, Russell argues that by the 18th century the Enlightenment was the principal manifestation of the schism that began with Martin Luther. Jonathan Israel rejects the attempts of postmodern and Marxian historians to understand the revolutionary ideas of the period purely as by-products of social and economic transformations. He instead focuses on the history of ideas in the period from 1650 to the end of the 18th century and claims that it was the ideas themselves that caused the change that eventually led to the revolutions of the latter half of the 18th century and the early 19th century. Israel argues that until the 1650s Western civilization "was based on a largely shared core of faith, tradition and authority". There is little consensus on the precise beginning of the Age of Enlightenment, though several historians and philosophers argue that it was marked by Descartes' 1637 philosophy of Cogito, ergo sum ("I think, therefore I Am"), which shifted the epistemological basis from external authority to internal certainty. In France, many cited the publication of Isaac Newton's Principia Mathematica (1687). The middle of the 17th century (1650) or the beginning of the 18th century (1701) are often used as epochs. 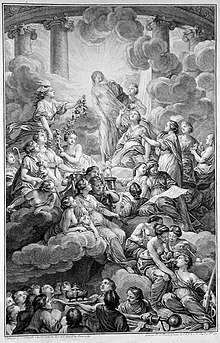 French historians usually place the Siècle des Lumières ("Century of Enlightenments") between 1715 and 1789: from the beginning of the reign of Louis XV until the French Revolution. Most scholars use the last years of the century, often choosing the French Revolution of 1789 or the beginning of the Napoleonic Wars (1804–1815) as a convenient point in time with which to date the end of the Enlightenment. Enlightenment, understood in the widest sense as the advance of thought, has always aimed at liberating human beings from fear and installing them as masters. Yet the wholly enlightened earth radiates under the sign of disaster triumphant. Extending Horkheimer and Adorno's argument, intellectual historian Jason Josephson-Storm has argued that any idea of the Age of Enlightenment as a clearly defined period that is separate from the earlier Renaissance and later Romanticism or Counter-Enlightenment constitutes a myth. Josephson-Storm points out that there are vastly different and mutually contradictory periodizations of the Enlightenment depending on nation, field of study, and school of thought; that the term and category of "Enlightenment" referring to the scientific revolution was actually applied after the fact; that the Enlightenment did not see an increase in disenchantment or the dominance of the mechanistic worldview; and that a blur in the early modern ideas of the Humanities and natural sciences makes it hard to circumscribe a Scientific Revolution. Josephson-Storm defends his categorization of the Enlightenment as "myth" by noting the regulative role ideas of a period of Enlightenment and disenchantment play in modern Western culture, such that belief in magic, spiritualism, and even religion appears somewhat taboo in intellectual strata. In the 1970s, study of the Enlightenment expanded to include the ways Enlightenment ideas spread to European colonies and how they interacted with indigenous cultures and how the Enlightenment took place in formerly unstudied areas such as Italy, Greece, the Balkans, Poland, Hungary and Russia. Intellectuals such as Robert Darnton and Jürgen Habermas have focused on the social conditions of the Enlightenment. Habermas described the creation of the "bourgeois public sphere" in 18th-century Europe, containing the new venues and modes of communication allowing for rational exchange. Habermas said that the public sphere was bourgeois, egalitarian, rational and independent from the state, making it the ideal venue for intellectuals to critically examine contemporary politics and society, away from the interference of established authority. While the public sphere is generally an integral component of the social study of the Enlightenment, other historians have questioned whether the public sphere had these characteristics. In contrast to the intellectual historiographical approach of the Enlightenment, which examines the various currents or discourses of intellectual thought within the European context during the 17th and 18th centuries, the cultural (or social) approach examines the changes that occurred in European society and culture. This approach studies the process of changing sociabilities and cultural practices during the Enlightenment. One of the primary elements of the culture of the Enlightenment was the rise of the public sphere, a "realm of communication marked by new arenas of debate, more open and accessible forms of urban public space and sociability, and an explosion of print culture", in the late 17th century and 18th century. Elements of the public sphere included that it was egalitarian, that it discussed the domain of "common concern," and that argument was founded on reason. Habermas uses the term "common concern" to describe those areas of political/social knowledge and discussion that were previously the exclusive territory of the state and religious authorities, now open to critical examination by the public sphere. The values of this bourgeois public sphere included holding reason to be supreme, considering everything to be open to criticism (the public sphere is critical), and the opposition of secrecy of all sorts. The creation of the public sphere has been associated with two long-term historical trends: the rise of the modern nation state and the rise of capitalism. The modern nation state, in its consolidation of public power, created by counterpoint a private realm of society independent of the state, which allowed for the public sphere. Capitalism also increased society's autonomy and self-awareness, as well as an increasing need for the exchange of information. As the nascent public sphere expanded, it embraced a large variety of institutions and the most commonly cited were coffee houses and cafés, salons and the literary public sphere, figuratively localized in the Republic of Letters. In France, the creation of the public sphere was helped by the aristocracy's move from the King's palace at Versailles to Paris in about 1720, since their rich spending stimulated the trade in luxuries and artistic creations, especially fine paintings. The context for the rise of the public sphere was the economic and social change commonly associated with the Industrial Revolution: "Economic expansion, increasing urbanization, rising population and improving communications in comparison to the stagnation of the previous century". Rising efficiency in production techniques and communication lowered the prices of consumer goods and increased the amount and variety of goods available to consumers (including the literature essential to the public sphere). Meanwhile, the colonial experience (most European states had colonial empires in the 18th century) began to expose European society to extremely heterogeneous cultures, leading to the breaking down of "barriers between cultural systems, religious divides, gender differences and geographical areas". The word "public" implies the highest level of inclusivity – the public sphere by definition should be open to all. However, this sphere was only public to relative degrees. Enlightenment thinkers frequently contrasted their conception of the "public" with that of the people: Condorcet contrasted "opinion" with populace, Marmontel "the opinion of men of letters" with "the opinion of the multitude" and d'Alembert the "truly enlightened public" with "the blind and noisy multitude". Additionally, most institutions of the public sphere excluded both women and the lower classes. Cross-class influences occurred through noble and lower class participation in areas such as the coffeehouses and the Masonic lodges. Because of the focus on reason over superstition, the Enlightenment cultivated the arts. Emphasis on learning, art and music became more widespread, especially with the growing middle class. Areas of study such as literature, philosophy, science, and the fine arts increasingly explored subject matter to which the general public, in addition to the previously more segregated professionals and patrons, could relate. As musicians depended more and more on public support, public concerts became increasingly popular and helped supplement performers' and composers' incomes. The concerts also helped them to reach a wider audience. Handel, for example, epitomized this with his highly public musical activities in London. He gained considerable fame there with performances of his operas and oratorios. The music of Haydn and Mozart, with their Viennese Classical styles, are usually regarded as being the most in line with the Enlightenment ideals. The desire to explore, record and systematize knowledge had a meaningful impact on music publications. Jean-Jacques Rousseau's Dictionnaire de musique (published 1767 in Geneva and 1768 in Paris) was a leading text in the late 18th century. This widely available dictionary gave short definitions of words like genius and taste and was clearly influenced by the Enlightenment movement. Another text influenced by Enlightenment values was Charles Burney's A General History of Music: From the Earliest Ages to the Present Period (1776), which was a historical survey and an attempt to rationalize elements in music systematically over time. Recently, musicologists have shown renewed interest in the ideas and consequences of the Enlightenment. For example, Rose Rosengard Subotnik's Deconstructive Variations (subtitled Music and Reason in Western Society) compares Mozart's Die Zauberflöte (1791) using the Enlightenment and Romantic perspectives and concludes that the work is "an ideal musical representation of the Enlightenment". As the economy and the middle class expanded, there was an increasing number of amateur musicians. One manifestation of this involved women, who became more involved with music on a social level. Women were already engaged in professional roles as singers and increased their presence in the amateur performers' scene, especially with keyboard music. Music publishers begin to print music that amateurs could understand and play. The majority of the works that were published were for keyboard, voice and keyboard and chamber ensemble. After these initial genres were popularized, from the mid-century on, amateur groups sang choral music, which then became a new trend for publishers to capitalize on. The increasing study of the fine arts, as well as access to amateur-friendly published works, led to more people becoming interested in reading and discussing music. Music magazines, reviews and critical works which suited amateurs as well as connoisseurs began to surface. The philosophes spent a great deal of energy disseminating their ideas among educated men and women in cosmopolitan cities. They used many venues, some of them quite new. The Republic of Letters was the sum of a number of Enlightenment ideals: an egalitarian realm governed by knowledge that could act across political boundaries and rival state power. It was a forum that supported "free public examination of questions regarding religion or legislation". Immanuel Kant considered written communication essential to his conception of the public sphere; once everyone was a part of the "reading public", then society could be said to be enlightened. The people who participated in the Republic of Letters, such as Diderot and Voltaire, are frequently known today as important Enlightenment figures. Indeed, the men who wrote Diderot's Encyclopédie arguably formed a microcosm of the larger "republic". Many women played an essential part in the French Enlightenment, due to the role they played as salonnières in Parisian salons, as the contrast to the male philosophes. The salon was the principal social institution of the republic and "became the civil working spaces of the project of Enlightenment". Women, as salonnières, were "the legitimate governors of [the] potentially unruly discourse" that took place within. While women were marginalized in the public culture of the Old Regime, the French Revolution destroyed the old cultural and economic restraints of patronage and corporatism (guilds), opening French society to female participation, particularly in the literary sphere. In France, the established men of letters (gens de lettres) had fused with the elites (les grands) of French society by the mid-18th century. This led to the creation of an oppositional literary sphere, Grub Street, the domain of a "multitude of versifiers and would-be authors". These men came to London to become authors, only to discover that the literary market simply could not support large numbers of writers, who in any case were very poorly remunerated by the publishing-bookselling guilds. The writers of Grub Street, the Grub Street Hacks, were left feeling bitter about the relative success of the men of letters and found an outlet for their literature which was typified by the libelle. Written mostly in the form of pamphlets, the libelles "slandered the court, the Church, the aristocracy, the academies, the salons, everything elevated and respectable, including the monarchy itself". Le Gazetier cuirassé by Charles Théveneau de Morande was a prototype of the genre. It was Grub Street literature that was most read by the public during the Enlightenment. According to Darnton, more importantly the Grub Street hacks inherited the "revolutionary spirit" once displayed by the philosophes and paved the way for the French Revolution by desacralizing figures of political, moral and religious authority in France. The increased consumption of reading materials of all sorts was one of the key features of the "social" Enlightenment. Developments in the Industrial Revolution allowed consumer goods to be produced in greater quantities at lower prices, encouraging the spread of books, pamphlets, newspapers and journals – "media of the transmission of ideas and attitudes". Commercial development likewise increased the demand for information, along with rising populations and increased urbanisation. However, demand for reading material extended outside of the realm of the commercial and outside the realm of the upper and middle classes, as evidenced by the Bibliothèque Bleue. Literacy rates are difficult to gauge, but in France the rates doubled over the course of the 18th century. Reflecting the decreasing influence of religion, the number of books about science and art published in Paris doubled from 1720 to 1780, while the number of books about religion dropped to just one-tenth of the total. Reading underwent serious changes in the 18th century. In particular, Rolf Engelsing has argued for the existence of a Reading Revolution. Until 1750, reading was done intensively: people tended to own a small number of books and read them repeatedly, often to small audience. After 1750, people began to read "extensively", finding as many books as they could, increasingly reading them alone. This is supported by increasing literacy rates, particularly among women. The vast majority of the reading public could not afford to own a private library and while most of the state-run "universal libraries" set up in the 17th and 18th centuries were open to the public, they were not the only sources of reading material. On one end of the spectrum was the Bibliothèque Bleue, a collection of cheaply produced books published in Troyes, France. Intended for a largely rural and semi-literate audience these books included almanacs, retellings of medieval romances and condensed versions of popular novels, among other things. While some historians have argued against the Enlightenment's penetration into the lower classes, the Bibliothèque Bleue represents at least a desire to participate in Enlightenment sociability. Moving up the classes, a variety of institutions offered readers access to material without needing to buy anything. Libraries that lent out their material for a small price started to appear and occasionally bookstores would offer a small lending library to their patrons. Coffee houses commonly offered books, journals and sometimes even popular novels to their customers. The Tatler and The Spectator, two influential periodicals sold from 1709 to 1714, were closely associated with coffee house culture in London, being both read and produced in various establishments in the city. This is an example of the triple or even quadruple function of the coffee house: reading material was often obtained, read, discussed and even produced on the premises. It is extremely difficult to determine what people actually read during the Enlightenment. For example, examining the catalogs of private libraries gives an image skewed in favor of the classes wealthy enough to afford libraries and also ignores censored works unlikely to be publicly acknowledged. For this reason, a study of publishing would be much more fruitful for discerning reading habits. Across continental Europe, but in France especially, booksellers and publishers had to negotiate censorship laws of varying strictness. For example, the Encyclopédie narrowly escaped seizure and had to be saved by Malesherbes, the man in charge of the French censor. Indeed, many publishing companies were conveniently located outside France so as to avoid overzealous French censors. They would smuggle their merchandise across the border, where it would then be transported to clandestine booksellers or small-time peddlers. The records of clandestine booksellers may give a better representation of what literate Frenchmen might have truly read, since their clandestine nature provided a less restrictive product choice. In one case, political books were the most popular category, primarily libels and pamphlets. Readers were more interested in sensationalist stories about criminals and political corruption than they were in political theory itself. The second most popular category, "general works" (those books "that did not have a dominant motif and that contained something to offend almost everyone in authority"), demonstrated a high demand for generally low-brow subversive literature. However, these works never became part of literary canon and are largely forgotten today as a result. A healthy, legal publishing industry existed throughout Europe, although established publishers and book sellers occasionally ran afoul of the law. For example, the Encyclopédie condemned not only by the King, but also by Clement XII, nevertheless found its way into print with the help of the aforementioned Malesherbes and creative use of French censorship law. However, many works were sold without running into any legal trouble at all. Borrowing records from libraries in England, Germany, and North America indicate that more than 70 percent of books borrowed were novels. Less than 1 percent of the books were of a religious nature, indicating the general trend of declining religiosity. A genre that greatly rose in importance was that of scientific literature. Natural history in particular became increasingly popular among the upper classes. Works of natural history include René-Antoine Ferchault de Réaumur's Histoire naturelle des insectes and Jacques Gautier d'Agoty's La Myologie complète, ou description de tous les muscles du corps humain (1746). Outside ancien régime France, natural history was an important part of medicine and industry, encompassing the fields of botany, zoology, meteorology, hydrology and mineralogy. Students in Enlightenment universities and academies were taught these subjects to prepare them for careers as diverse as medicine and theology. As shown by Matthew Daniel Eddy, natural history in this context was a very middle class pursuit and operated as a fertile trading zone for the interdisciplinary exchange of diverse scientific ideas. The target audience of natural history was French polite society, evidenced more by the specific discourse of the genre than by the generally high prices of its works. Naturalists catered to polite society's desire for erudition – many texts had an explicit instructive purpose. However, natural history was often a political affair. As Emma Spary writes, the classifications used by naturalists "slipped between the natural world and the social ... to establish not only the expertise of the naturalists over the natural, but also the dominance of the natural over the social". The idea of taste (le goût) was a social indicator: to truly be able to categorize nature, one had to have the proper taste, an ability of discretion shared by all members of polite society. 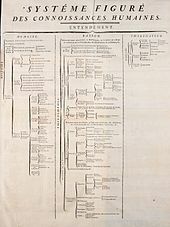 In this way natural history spread many of the scientific developments of the time, but also provided a new source of legitimacy for the dominant class. From this basis, naturalists could then develop their own social ideals based on their scientific works. The first scientific and literary journals were established during the Enlightenment. 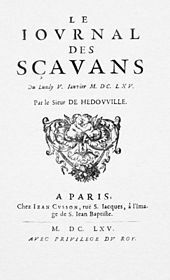 The first journal, the Parisian Journal des Sçavans, appeared in 1665. However, it was not until 1682 that periodicals began to be more widely produced. French and Latin were the dominant languages of publication, but there was also a steady demand for material in German and Dutch. 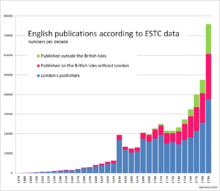 There was generally low demand for English publications on the Continent, which was echoed by England's similar lack of desire for French works. Languages commanding less of an international market—such as Danish, Spanish and Portuguese—found journal success more difficult and more often than not a more international language was used instead. French slowly took over Latin's status as the lingua franca of learned circles. This in turn gave precedence to the publishing industry in Holland, where the vast majority of these French language periodicals were produced. Jonathan Israel called the journals the most influential cultural innovation of European intellectual culture. They shifted the attention of the "cultivated public" away from established authorities to novelty and innovation and instead promoted the "enlightened" ideals of toleration and intellectual objectivity. Being a source of knowledge derived from science and reason, they were an implicit critique of existing notions of universal truth monopolized by monarchies, parliaments and religious authorities. They also advanced Christian enlightenment that upheld "the legitimacy of God-ordained authority"—the Bible—in which there had to be agreement between the biblical and natural theories. Although the existence of dictionaries and encyclopedias spanned into ancient times, the texts changed from simply defining words in a long running list to far more detailed discussions of those words in 18th-century encyclopedic dictionaries. The works were part of an Enlightenment movement to systematize knowledge and provide education to a wider audience than the elite. As the 18th century progressed, the content of encyclopedias also changed according to readers' tastes. Volumes tended to focus more strongly on secular affairs, particularly science and technology, rather than matters of theology. Along with secular matters, readers also favoured an alphabetical ordering scheme over cumbersome works arranged along thematic lines. Commenting on alphabetization, the historian Charles Porset has said that "as the zero degree of taxonomy, alphabetical order authorizes all reading strategies; in this respect it could be considered an emblem of the Enlightenment". For Porset, the avoidance of thematic and hierarchical systems thus allows free interpretation of the works and becomes an example of egalitarianism. Encyclopedias and dictionaries also became more popular during the Age of Enlightenment as the number of educated consumers who could afford such texts began to multiply. In the later half of the 18th century, the number of dictionaries and encyclopedias published by decade increased from 63 between 1760 and 1769 to approximately 148 in the decade proceeding the French Revolution (1780–1789). Along with growth in numbers, dictionaries and encyclopedias also grew in length, often having multiple print runs that sometimes included in supplemented editions. The first technical dictionary was drafted by John Harris and entitled Lexicon Technicum: Or, An Universal English Dictionary of Arts and Sciences. Harris' book avoided theological and biographical entries and instead it concentrated on science and technology. Published in 1704, the Lexicon technicum was the first book to be written in English that took a methodical approach to describing mathematics and commercial arithmetic along with the physical sciences and navigation. Other technical dictionaries followed Harris' model, including Ephraim Chambers' Cyclopaedia (1728), which included five editions and was a substantially larger work than Harris'. The folio edition of the work even included foldout engravings. The Cyclopaedia emphasized Newtonian theories, Lockean philosophy and contained thorough examinations of technologies, such as engraving, brewing and dyeing. In Germany, practical reference works intended for the uneducated majority became popular in the 18th century. The Marperger Curieuses Natur-, Kunst-, Berg-, Gewerkund Handlungs-Lexicon (1712) explained terms that usefully described the trades and scientific and commercial education. Jablonksi Allgemeines Lexicon (1721) was better known than the Handlungs-Lexicon and underscored technical subjects rather than scientific theory. For example, over five columns of text were dedicated to wine while geometry and logic were allocated only twenty-two and seventeen lines, respectively. The first edition of the Encyclopædia Britannica (1771) was modelled along the same lines as the German lexicons. As an Encyclopédie, it is to set forth as well as possible the order and connection of the parts of human knowledge. As a Reasoned Dictionary of the Sciences, Arts, and Trades, it is to contain the general principles that form the basis of each science and each art, liberal or mechanical, and the most essential facts that make up the body and substance of each. The massive work was arranged according to a "tree of knowledge". The tree reflected the marked division between the arts and sciences, which was largely a result of the rise of empiricism. Both areas of knowledge were united by philosophy, or the trunk of the tree of knowledge. The Enlightenment's desacrilization of religion was pronounced in the tree's design, particularly where theology accounted for a peripheral branch, with black magic as a close neighbour. 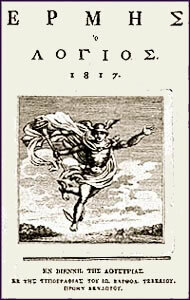 As the Encyclopédie gained popularity, it was published in quarto and octavo editions after 1777. The quarto and octavo editions were much less expensive than previous editions, making the Encyclopédie more accessible to the non-elite. Robert Darnton estimates that there were approximately 25 000 copies of the Encyclopédie in circulation throughout France and Europe before the French Revolution. The extensive, yet affordable encyclopedia came to represent the transmission of Enlightenment and scientific education to an expanding audience. One of the most important developments that the Enlightenment era brought to the discipline of science was its popularization. An increasingly literate population seeking knowledge and education in both the arts and the sciences drove the expansion of print culture and the dissemination of scientific learning. The new literate population was due to a high rise in the availability of food. This enabled many people to rise out of poverty, and instead of paying more for food, they had money for education. Popularization was generally part of an overarching Enlightenment ideal that endeavoured "to make information available to the greatest number of people". As public interest in natural philosophy grew during the 18th century, public lecture courses and the publication of popular texts opened up new roads to money and fame for amateurs and scientists who remained on the periphery of universities and academies. More formal works included explanations of scientific theories for individuals lacking the educational background to comprehend the original scientific text. Sir Isaac Newton's celebrated Philosophiae Naturalis Principia Mathematica was published in Latin and remained inaccessible to readers without education in the classics until Enlightenment writers began to translate and analyze the text in the vernacular. The first significant work that expressed scientific theory and knowledge expressly for the laity, in the vernacular and with the entertainment of readers in mind, was Bernard de Fontenelle's Conversations on the Plurality of Worlds (1686). The book was produced specifically for women with an interest in scientific writing and inspired a variety of similar works. These popular works were written in a discursive style, which was laid out much more clearly for the reader than the complicated articles, treatises and books published by the academies and scientists. Charles Leadbetter's Astronomy (1727) was advertised as "a Work entirely New" that would include "short and easie [sic] Rules and Astronomical Tables". The first French introduction to Newtonianism and the Principia was Eléments de la philosophie de Newton, published by Voltaire in 1738. 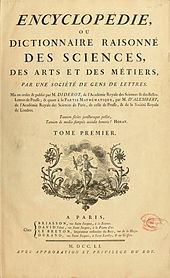 Émilie du Châtelet's translation of the Principia, published after her death in 1756, also helped to spread Newton's theories beyond scientific academies and the university. Writing for a growing female audience, Francesco Algarotti published Il Newtonianism per le dame, which was a tremendously popular work and was translated from Italian into English by Elizabeth Carter. A similar introduction to Newtonianism for women was produced by Henry Pemberton. His A View of Sir Isaac Newton's Philosophy was published by subscription. Extant records of subscribers show that women from a wide range of social standings purchased the book, indicating the growing number of scientifically inclined female readers among the middling class. During the Enlightenment, women also began producing popular scientific works themselves. Sarah Trimmer wrote a successful natural history textbook for children titled The Easy Introduction to the Knowledge of Nature (1782), which was published for many years after in eleven editions. Most work on the Enlightenment emphasizes the ideals discussed by intellectuals, rather than the actual state of education at the time. Leading educational theorists like England's John Locke and Switzerland's Jean Jacques Rousseau both emphasized the importance of shaping young minds early. By the late Enlightenment, there was a rising demand for a more universal approach to education, particularly after the American and French Revolutions. The predominant educational psychology from the 1750s onward, especially in northern European countries was associationism, the notion that the mind associates or dissociates ideas through repeated routines. In addition to being conducive to Enlightenment ideologies of liberty, self-determination and personal responsibility, it offered a practical theory of the mind that allowed teachers to transform longstanding forms of print and manuscript culture into effective graphic tools of learning for the lower and middle orders of society. Children were taught to memorize facts through oral and graphic methods that originated during the Renaissance. Many of the leading universities associated with Enlightenment progressive principles were located in northern Europe, with the most renowned being the universities of Leiden, Göttingen, Halle, Montpellier, Uppsala and Edinburgh. These universities, especially Edinburgh, produced professors whose ideas had a significant impact on Britain's North American colonies and later the American Republic. Within the natural sciences, Edinburgh's medical school also led the way in chemistry, anatomy and pharmacology. In other parts of Europe, the universities and schools of France and most of Europe were bastions of traditionalism and were not hospitable to the Enlightenment. In France, the major exception was the medical university at Montpellier. The history of Academies in France during the Enlightenment begins with the Academy of Science, founded in 1635 in Paris. It was closely tied to the French state, acting as an extension of a government seriously lacking in scientists. It helped promote and organize new disciplines and it trained new scientists. It also contributed to the enhancement of scientists' social status, considering them to be the "most useful of all citizens". Academies demonstrate the rising interest in science along with its increasing secularization, as evidenced by the small number of clerics who were members (13 percent). The presence of the French academies in the public sphere cannot be attributed to their membership, as although the majority of their members were bourgeois, the exclusive institution was only open to elite Parisian scholars. They perceived themselves as "interpreters of the sciences for the people". For example, it was with this in mind that academicians took it upon themselves to disprove the popular pseudo-science of mesmerism. The strongest contribution of the French Academies to the public sphere comes from the concours académiques (roughly translated as "academic contests") they sponsored throughout France. These academic contests were perhaps the most public of any institution during the Enlightenment. The practice of contests dated back to the Middle Ages and was revived in the mid-17th century. The subject matter had previously been generally religious and/or monarchical, featuring essays, poetry and painting. However, by roughly 1725 this subject matter had radically expanded and diversified, including "royal propaganda, philosophical battles, and critical ruminations on the social and political institutions of the Old Regime". Topics of public controversy were also discussed such as the theories of Newton and Descartes, the slave trade, women's education and justice in France. More importantly, the contests were open to all and the enforced anonymity of each submission guaranteed that neither gender nor social rank would determine the judging. Indeed, although the "vast majority" of participants belonged to the wealthier strata of society ("the liberal arts, the clergy, the judiciary and the medical profession"), there were some cases of the popular classes submitting essays and even winning. Similarly, a significant number of women participated—and won—the competitions. Of a total of 2,300 prize competitions offered in France, women won 49—perhaps a small number by modern standards, but very significant in an age in which most women did not have any academic training. Indeed, the majority of the winning entries were for poetry competitions, a genre commonly stressed in women's education. In England, the Royal Society of London also played a significant role in the public sphere and the spread of Enlightenment ideas. It was founded by a group of independent scientists and given a royal charter in 1662. The Society played a large role in spreading Robert Boyle's experimental philosophy around Europe and acted as a clearinghouse for intellectual correspondence and exchange. Boyle was "a founder of the experimental world in which scientists now live and operate" and his method based knowledge on experimentation, which had to be witnessed to provide proper empirical legitimacy. This is where the Royal Society came into play: witnessing had to be a "collective act" and the Royal Society's assembly rooms were ideal locations for relatively public demonstrations. However, not just any witness was considered to be credible: "Oxford professors were accounted more reliable witnesses than Oxfordshire peasants". Two factors were taken into account: a witness's knowledge in the area and a witness's "moral constitution". In other words, only civil society were considered for Boyle's public. It was the place in which philosophes got reunited and talked about old, actual or new ideas. Salons were the place where intellectual and enlightened ideas were built. Coffeehouses were especially important to the spread of knowledge during the Enlightenment because they created a unique environment in which people from many different walks of life gathered and shared ideas. They were frequently criticized by nobles who feared the possibility of an environment in which class and its accompanying titles and privileges were disregarded. Such an environment was especially intimidating to monarchs who derived much of their power from the disparity between classes of people. If classes were to join together under the influence of Enlightenment thinking, they might recognize the all-encompassing oppression and abuses of their monarchs and because of their size might be able to carry out successful revolts. Monarchs also resented the idea of their subjects convening as one to discuss political matters, especially those concerning foreign affairs—rulers thought political affairs to be their business only, a result of their supposed divine right to rule. Coffeehouses represent a turning point in history during which people discovered that they could have enjoyable social lives within their communities. Coffeeshops became homes away from home for many who sought, for the first time, to engage in discourse with their neighbors and discuss intriguing and thought-provoking matters, especially those regarding philosophy to politics. Coffeehouses were essential to the Enlightenment, for they were centers of free-thinking and self-discovery. Although many coffeehouse patrons were scholars, a great deal were not. Coffeehouses attracted a diverse set of people, including not only the educated wealthy but also members of the bourgeoisie and the lower class. While it may seem positive that patrons, being doctors, lawyers, merchants, etc. represented almost all classes, the coffeeshop environment sparked fear in those who sought to preserve class distinction. One of the most popular critiques of the coffeehouse claimed that it "allowed promiscuous association among people from different rungs of the social ladder, from the artisan to the aristocrat" and was therefore compared to Noah's Ark, receiving all types of animals, clean or unclean. This unique culture served as a catalyst for journalism when Joseph Addison and Richard Steele recognized its potential as an audience. Together, Steele and Addison published The Spectator (1711), a daily publication which aimed, through fictional narrator Mr. Spectator, both to entertain and to provoke discussion regarding serious philosophical matters. The first English coffeehouse opened in Oxford in 1650. Brian Cowan said that Oxford coffeehouses developed into "penny universities", offering a locus of learning that was less formal than structured institutions. These penny universities occupied a significant position in Oxford academic life, as they were frequented by those consequently referred to as the virtuosi, who conducted their research on some of the resulting premises. According to Cowan, "the coffeehouse was a place for like-minded scholars to congregate, to read, as well as learn from and to debate with each other, but was emphatically not a university institution, and the discourse there was of a far different order than any university tutorial". The Café Procope was established in Paris in 1686 and by the 1720s there were around 400 cafés in the city. The Café Procope in particular became a center of Enlightenment, welcoming such celebrities as Voltaire and Rousseau. The Café Procope was where Diderot and D'Alembert decided to create the Encyclopédie. The cafés were one of the various "nerve centers" for bruits publics, public noise or rumour. These bruits were allegedly a much better source of information than were the actual newspapers available at the time. Clubs of fifty or more men who, at the beginning of the 18th century, met in pubs to discuss religious issues and affairs of state. John Henley's Oratory, which mixed outrageous sermons with even more absurd questions, like "Whether Scotland be anywhere in the world?". In the late 1770s, popular debating societies began to move into more "genteel" rooms, a change which helped establish a new standard of sociability. The backdrop to these developments was "an explosion of interest in the theory and practice of public elocution". The debating societies were commercial enterprises that responded to this demand, sometimes very successfully. Some societies welcomed from 800 to 1,200 spectators a night. The debating societies discussed an extremely wide range of topics. Before the Enlightenment, most intellectual debates revolved around "confessional" – that is, Catholic, Lutheran, Reformed (Calvinist) or Anglican issues and the main aim of these debates was to establish which bloc of faith ought to have the "monopoly of truth and a God-given title to authority". After this date, everything thus previously rooted in tradition was questioned and often replaced by new concepts in the light of philosophical reason. After the second half of the 17th century and during the 18th century, a "general process of rationalization and secularization set in" and confessional disputes were reduced to a secondary status in favor of the "escalating contest between faith and incredulity". In addition to debates on religion, societies discussed issues such as politics and the role of women. However, it is important to note that the critical subject matter of these debates did not necessarily translate into opposition to the government. In other words, the results of the debate quite frequently upheld the status quo. From a historical standpoint, one of the most important features of the debating society was their openness to the public, as women attended and even participated in almost every debating society, which were likewise open to all classes providing they could pay the entrance fee. Once inside, spectators were able to participate in a largely egalitarian form of sociability that helped spread Enlightenment ideas. Historians have long debated the extent to which the secret network of Freemasonry was a main factor in the Enlightenment. The leaders of the Enlightenment included Freemasons such as Diderot, Montesquieu, Voltaire, Lessing, Pope, Horace Walpole, Sir Robert Walpole, Mozart, Goethe, Frederick the Great, Benjamin Franklin and George Washington. Norman Davies said that Freemasonry was a powerful force on behalf of liberalism in Europe from about 1700 to the twentieth century. It expanded rapidly during the Age of Enlightenment, reaching practically every country in Europe. It was especially attractive to powerful aristocrats and politicians as well as intellectuals, artists and political activists. During the Age of Enlightenment, Freemasons comprised an international network of like-minded men, often meeting in secret in ritualistic programs at their lodges. They promoted the ideals of the Enlightenment and helped diffuse these values across Britain and France and other places. Freemasonry as a systematic creed with its own myths, values and set of rituals originated in Scotland around 1600 and spread first to England and then across the Continent in the eighteenth century. They fostered new codes of conduct—including a communal understanding of liberty and equality inherited from guild sociability—"liberty, fraternity and equality". Scottish soldiers and Jacobite Scots brought to the Continent ideals of fraternity which reflected not the local system of Scottish customs but the institutions and ideals originating in the English Revolution against royal absolutism. Freemasonry was particularly prevalent in France—by 1789, there were perhaps as many as 100,000 French Masons, making Freemasonry the most popular of all Enlightenment associations. The Freemasons displayed a passion for secrecy and created new degrees and ceremonies. Similar societies, partially imitating Freemasonry, emerged in France, Germany, Sweden and Russia. One example was the Illuminati founded in Bavaria in 1776, which was copied after the Freemasons, but was never part of the movement. The Illuminati was an overtly political group, which most Masonic lodges decidedly were not. Masonic lodges created a private model for public affairs. They "reconstituted the polity and established a constitutional form of self-government, complete with constitutions and laws, elections and representatives". In other words, the micro-society set up within the lodges constituted a normative model for society as a whole. This was especially true on the continent: when the first lodges began to appear in the 1730s, their embodiment of British values was often seen as threatening by state authorities. For example, the Parisian lodge that met in the mid 1720s was composed of English Jacobite exiles. Furthermore, freemasons all across Europe explicitly linked themselves to the Enlightenment as a whole. For example, in French lodges the line "As the means to be enlightened I search for the enlightened" was a part of their initiation rites. British lodges assigned themselves the duty to "initiate the unenlightened". This did not necessarily link lodges to the irreligious, but neither did this exclude them from the occasional heresy. In fact, many lodges praised the Grand Architect, the masonic terminology for the deistic divine being who created a scientifically ordered universe. German historian Reinhart Koselleck claimed: "On the Continent there were two social structures that left a decisive imprint on the Age of Enlightenment: the Republic of Letters and the Masonic lodges". Scottish professor Thomas Munck argues that "although the Masons did promote international and cross-social contacts which were essentially non-religious and broadly in agreement with enlightened values, they can hardly be described as a major radical or reformist network in their own right". Many of the Masons values seemed to greatly appeal to Enlightenment values and thinkers. Diderot discusses the link between Freemason ideals and the enlightenment in D'Alembert's Dream, exploring masonry as a way of spreading enlightenment beliefs. Historian Margaret Jacob stresses the importance of the Masons in indirectly inspiring enlightened political thought. On the negative side, Daniel Roche contests claims that Masonry promoted egalitarianism and he argues that the lodges only attracted men of similar social backgrounds. The presence of noble women in the French "lodges of adoption" that formed in the 1780s was largely due to the close ties shared between these lodges and aristocratic society. The major opponent of Freemasonry was the Roman Catholic Church so that in countries with a large Catholic element, such as France, Italy, Spain and Mexico, much of the ferocity of the political battles involve the confrontation between what Davies calls the reactionary Church and enlightened Freemasonry. Even in France, Masons did not act as a group. American historians, while noting that Benjamin Franklin and George Washington were indeed active Masons, have downplayed the importance of Freemasonry in causing the American Revolution because the Masonic order was non-political and included both Patriots and their enemy the Loyalists. The art produced during the Enlightenment was about a search for morality that was absent from previous art. At the same time, the Classical art of Greece and Rome became interesting to people again, since archaeological teams discovered Pompeii and Herculaneum. People took inspiration from it and revived the classical art into neo-classical art. This can be especially seen in early American art, where, throughout their art and architecture, they used arches, goddesses, and other classical architectural designs. ^ "The Age of Enlightenment: A History From Beginning to End: Chapter 3". publishinghau5.com. Archived from the original on 3 March 2017. Retrieved 3 April 2017. ^ Eugen Weber, Movements, Currents, Trends: Aspects of European Thought in the Nineteenth and Twentieth Centuries (1992). ^ Giuseppe Vottari (2003). L'illuminismo. Un percorso alfabetico nell'età delle riforme. Alpha Test. p. 54. ISBN 978-88-483-0456-6. ^ Domenico Maddaloni (2011-11-17). Visioni in movimento. Teorie dell'evoluzione e scienze sociali dall'Illuminismo a oggi: Teorie dell'evoluzione e scienze sociali dall'Illuminismo a oggi. FrancoAngeli. p. 20. ISBN 978-88-568-7115-9. ^ I. Bernard Cohen, "Scientific Revolution and Creativity in the Enlightenment." Eighteenth-Century Life 7.2 (1982): 41–54. ^ Jeremy Black, "Ancien Regime and Enlightenment. Some Recent Writing on Seventeenth-and Eighteenth-Century Europe," European History Quarterly 22.2 (1992): 247–55. ^ Robert A. Ferguson, The American Enlightenment, 1750–1820 (1994). ^ Robert Darnton, The Business of Enlightenment: a publishing history of the Encyclopédie, 1775–1800 (2009). ^ Israel 2006, p. 15. ^ Israel 2010, pp. vii–viii, 19. ^ Israel 2010, p. 11. ^ a b Petitfils 2005, pp. 99–105. ^ "Kant's essay What is Enlightenment?". mnstate.edu. ^ Steven Kreis (2012-04-13). "Mary Wollstonecraft, 1759–1797". Historyguide.org. Archived from the original on 2014-01-11. Retrieved 2014-01-14. ^ Burns (2003), entry: 7,103. ^ Gillispie, (1980), p. xix. ^ James E. McClellan III, "Learned Societies," in Encyclopedia of the Enlightenment, ed. Alan Charles Kors (Oxford: Oxford University Press, 2003) "Archived copy". Archived from the original on 2012-03-30. Retrieved 2015-10-16. CS1 maint: Archived copy as title (link) (accessed on June 8, 2008). ^ Porter, (2003), p. 91. ^ See Gillispie, (1980), "Conclusion." ^ Porter, (2003), p. 90. ^ Burns, (2003), entry: 158. ^ Thomson, (1786), p. 203. ^ Swingewood, Alan (1970). "Origins of Sociology: The Case of the Scottish Enlightenment". The British Journal of Sociology. 21 (2): 164–180. doi:10.2307/588406. JSTOR 588406. ^ D. Daiches, P. Jones and J. Jones, A Hotbed of Genius: The Scottish Enlightenment, 1730–1790 (1986). ^ The Illusion of Free Markets, Bernard E. Harcourt, p. 260, notes 11–14. ^ a b "The Enlightenment throughout Europe". History-world.org. Retrieved 2013-03-25. ^ De Dijn, Annelien (2012). "The Politics of Enlightenment: From Peter Gay to Jonathan Israel". Historical Journal. 55 (3): 785–805. doi:10.1017/s0018246x12000301. ^ "John Locke > The Influence of John Locke's Works (Stanford Encyclopedia of Philosophy)". Plato.stanford.edu. Retrieved 2014-01-14. ^ Eltis, David; Walvin, James, eds. (1981). The Abolition of the Atlantic Slave Trade. Madison: University of Wisconsin Press. p. 76. ^ Northrup, David, ed. (2002). The Atlantic Slave Trade. Boston: Houghton Mifflin. p. 200. ^ David Williams, ed. (1994). Voltaire: Political Writings. pp. xiv–xv. ISBN 978-0-521-43727-1. ^ Margaret C. Jacob, ed. The Enlightenment: Brief History with Documents, Boston: Bedford/St. Martin's, 2001, Introduction, pp. 1–72. ^ Locke, John (1695). Reasonableness of Christianity. "Preface" The Reasonableness of Christianity, as delivered in the Scriptures. ^ R.B. Bernstein (2003). Thomas Jefferson. Oxford University Press. p. 179. ISBN 978-0-19-975844-9. ^ Ole Peter Grell; Roy Porter (2000). Toleration in Enlightenment Europe. Cambridge University Press. pp. 1–68. ISBN 978-0-521-65196-7. ^ Mendelssohn, Moses (1783). "Jerusalem: Or on Religious Power and Judaism" (PDF). ^ Willi Goetschel (2004). Spinoza's Modernity: Mendelssohn, Lessing, and Heine. Univ of Wisconsin Press. p. 126. ISBN 978-0-299-19083-5. ^ Ellen Judy Wilson; Peter Hanns Reill (2004). Encyclopedia Of The Enlightenment. Infobase Publishing. p. 148. ISBN 978-1-4381-1021-9. ^ Wilson and Reill (2004). Encyclopedia Of The Enlightenment. Infobase Publishing. p. 26. ISBN 978-1-4381-1021-9. ^ Anthony Pagden (2013). The Enlightenment: And Why it Still Matters. Oxford University Press. p. 100. ISBN 978-0-19-966093-3. ^ Stuart Brown (2003). British Philosophy and the Age of Enlightenment: Routledge History of Philosophy. Taylor & Francis. p. 256. ISBN 978-0-415-30877-9. ^ Pierre Bayle (1741). A general dictionary: historical and critical: in which a new and accurate translation of that of the celebrated Mr. Bayle, with the corrections and observations printed in the late edition at Paris, is included; and interspersed with several thousand lives never before published. The whole containing the history of the most illustrious persons of all ages and nations particularly those of Great Britain and Ireland, distinguished by their rank, actions, learning and other accomplishments. With reflections on such passages of Bayle, as seem to favor scepticism and the Manichee system. p. 778. ^ ENR // AgencyND // University of Notre Dame (2003-05-04). "God, Locke and Equality: Christian Foundations of Locke's Political Thought". Nd.edu. ^ Israel 2011, pp. 11. ^ Israel 2010, p. 19. ^ Israel 2010, pp. vii–viii. ^ Karen O'Brien, "English Enlightenment Histories, 1750–c.1815" in José Rabasa, ed. (2012). The Oxford History of Historical Writing: Volume 3: 1400–1800. OUP Oxford. pp. 518–35. ISBN 978-0-19-921917-9. ^ Roy Porter, The creation of the modern world: the untold story of the British Enlightenment (2000), pp. 1–12, 482–84. ^ Israel 2011, pp. 248–49. ^ A. Herman, How the Scots Invented the Modern World (Crown Publishing Group, 2001). ^ Harrison, Lawrence E. (2012). Jews, Confucians, and Protestants: Cultural Capital and the End of Multiculturalism. Rowman & Littlefield. p. 92. ISBN 978-1-4422-1964-9. ^ J. Repcheck, The Man Who Found Time: James Hutton and the Discovery of the Earth's Antiquity (Basic Books, 2003), pp. 117–43. ^ Michael Atiyah, "Benjamin Franklin and the Edinburgh Enlightenment," Proceedings of the American Philosophical Society (Dec 2006) 150#4 pp. 591–606. ^ "The Founding Fathers, Deism, and Christianity". Encyclopædia Britannica. ^ Charles W. Ingrao, "A Pre-Revolutionary Sonderweg." German History 20#3 (2002), pp. 279–86. ^ Katrin Keller, "Saxony: Rétablissement and Enlightened Absolutism." German History 20.3 (2002): 309–31. ^ "The German Enlightenment", German History (Dec 2017) 35#4 pp 588-602, round table discussion of historiography. ^ Michael J. Sauter, "The Enlightenment on trial: state service and social discipline in eighteenth-century Germany's public sphere." Modern Intellectual History 5.2 (2008): 195–223. ^ Niccolò Guasti, "Antonio genovesi's Diceosina: Source of the Neapolitan Enlightenment." 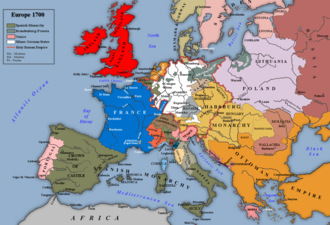 History of European ideas 32.4 (2006): 385–405. ^ Pier Luigi Porta, "Lombard enlightenment and classical political economy." The European Journal of the History of Economic Thought 18.4 (2011): 521–50. ^ Anna Maria Rao, "Enlightenment and reform: an overview of culture and politics in Enlightenment Italy." Journal of Modern Italian Studies 10.2 (2005): 142–67. ^ Israel 2011, pp. 609–32. ^ Colum Leckey, "What is Prosveshchenie? Nikolai Novikov's Historical Dictionary of Russian Writers Revisited." Russian History 37.4 (2010): 360–77. ^ Jerzy Snopek, "The Polish Literature of the Enlightenment." Archived 2011-10-05 at the Wayback Machine (PDF 122 KB) Poland.pl. Retrieved October 7, 2011. ^ Lough, John (1985). "Reflections on Enlightenment and Lumieres". Journal for Eighteenth-Century Studies. 8#1: 1–15. doi:10.1111/j.1754-0208.1985.tb00093.x. ^ Outram, 1. The past tense is used deliberately as whether man would educate himself or be educated by certain exemplary figures was a common issue at the time. 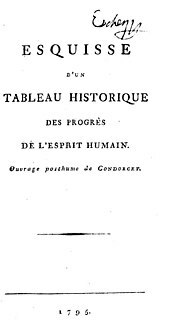 D'Alembert's introduction to l'Encyclopédie, for example, along with Immanuel Kant's essay response (the "independent thinkers"), both support the later model. ^ Israel 2010, pp. 49–50. ^ Israel 2006, pp. v–viii. ^ Israel 2001, pp. 3. For up to Descartes ... a particular sub-iectum ... lies at the foundation of its own fixed qualities and changing circumstances. The superiority of a sub-iectum ... arises out of the claim of man to a ... self-supported, unshakeable foundation of truth, in the sense of certainty. Why and how does this claim acquire its decisive authority? The claim originates in that emancipation of man in which he frees himself from obligation to Christian revelational truth and Church doctrine to a legislating for himself that takes its stand upon itself. ^ J.B. Shank, The Newton Wars and the Beginning of the French Enlightenment (2008), "Introduction"
^ M.S. Anderson, Historians and eighteenth-century Europe, 1715-1789 (Oxford UP, 1979); Jean de Viguerie, Histoire et dictionnaire du temps des Lumières (1715-1789) (Paris: Robert Laffont, 1995). ^ Theodor W. Adorno; Max Horkheimer (1947). "The Concept of Enlightenment". In G.S. Noerr. Dialectic of Enlightenment: Philosophical Fragments. Translated by E. Jephcott. Stanford: Stanford University Press. p. 3. ISBN 978-1-85984-154-9. ^ Josephson-Storm, Jason (2017). The Myth of Disenchantment: Magic, Modernity, and the Birth of the Human Sciences. Chicago: University of Chicago Press. pp. 58–61. ISBN 978-0-226-40336-6. ^ Josephson-Storm, Jason (2017). The Myth of Disenchantment: Magic, Modernity, and the Birth of the Human Sciences. Chicago: University of Chicago Press. pp. 61–62. ISBN 978-0-226-40336-6. ^ For example, Robert Darnton, Roger Chartier, Brian Cowan, Donna T. Andrew. ^ James Van Horn Melton, The Rise of the Public in Enlightenment Europe (2001), p. 4. ^ Jürgen Habermas, The Structural Transformation of the Public Sphere, (1989), pp. 36, 37. ^ Melton, 4, 5. Habermas, 14–26. ^ Daniel Brewer, ed. (2014). The Cambridge Companion to the French Enlightenment. Cambridge UP. pp. 91ff. ISBN 978-1-316-19432-4. ^ Outram, Dorinda. The Enlightenment (2nd ed.). Cambridge University Press, 2005, p. 12. ^ Outram 2005, p. 13. ^ David Beard and Kenneth Gloag, Musicology, The Key Concepts (New York: Routledge, 2005), 58. ^ J. Peter Burkholder, Donald J. Grout and Claude V. Palisca, A History of Western Music, Seventh Edition, (New York: W.W. Norton & Company, Inc., 2006), 475. ^ a b Beard and Gloag, Musicology, 59. ^ a b Beard and Gloag, Musicology, 60. ^ a b c Burkholder, Grout and Palisca, A History of Western Music, 475. ^ a b c Outram, 21. ^ Chartier, 26, 26. Kant, "What is Enlightenment?" ^ Dena Goodman, The Republic of Letters: A Cultural History of the French Enlightenment (1994), 53. ^ Crébillon fils, quoted from Darnton, The Literary Underground, 17. ^ Darnton, The Literary Underground, 19, 20. ^ Darnton, "The Literary Underground", 21, 23. ^ Darnton, The Literary Underground, 35–40. ^ Darnton, "The Literary Underground", 16. ^ "history of publishing :: Developments in the 18th century". Encyclopædia Britannica. ^ In particular, see Chapter 6, "Reading, Writing and Publishing"
^ a b Darnton, The Literary Underground, 135–47. ^ Eddy, Matthew Daniel (2008). The Language of Mineralogy: John Walker, Chemistry and the Edinburgh Medical School, 1750–1800. Ashgate. ^ Emma Spary, "The 'Nature' of Enlightenment" in The Sciences in Enlightened Europe, William Clark, Jan Golinski, and Steven Schaffer, eds. (Chicago: University of Chicago Press, 1999), 281–82. ^ Israel 2001, pp. 143–44. ^ Israel 2001, pp. 142. ^ Israel 2001, pp. 150–51. ^ a b Headrick, (2000), p. 144. ^ a b Headrick, (2000), p. 172. ^ Porter, (2003), pp. 249–50. ^ Headrick, (2000), pp. 150–52. ^ Headrick, (2000), p. 153. ^ Darnton, (1979), p. 7. ^ Darnton, (1979), p. 37. ^ Darnton, (1979), p. 6. ^ Headrick, (2000), p. 19. ^ Phillips, (1991), p. 90. ^ Porter, (2003), p. 300. ^ Porter, (2003), p. 101. ^ Phillips, (1991), p. 92. ^ Phillips, (1991), p. 107. ^ Eddy, Matthew Daniel (2013). "The Shape of Knowledge: Children and the Visual Culture of Literacy and Numeracy". Science in Context. 26 (2): 215–45. doi:10.1017/s0269889713000045. ^ Hotson, Howard (2007). Commonplace Learning: Ramism and Its German Ramifications 1543–1630. Oxford: Oxford University Press. ^ Eddy, Matthew Daniel (2008). The Language of Mineralogy: John Walker, Chemistry and the Edinburgh Medical School, 1750–1800. Aldershot: Ashgate. ^ Daniel Roche, France in the Enlightenment, (1998), 420. ^ Caradonna JL. Annales, "Prendre part au siècle des Lumières: Le concours académique et la culture intellectuelle au XVIIIe siècle"
^ Jeremy L. Caradonna, "Prendre part au siècle des Lumières: Le concours académique et la culture intellectuelle au XVIIIe siècle", Annales. Histoire, Sciences sociales, vol. 64 (mai-juin 2009), n. 3, 633–62. ^ Steven Shapin, A Social History of Truth: Civility and Science in Seventeenth-Century England, Chicago; London: University of Chicago Press, 1994. ^ Steven Shapin and Simon Schaffer, Leviathan and the Air-Pump: Hobbes, Boyle, and the Experimental Life (Princeton: Princeton University Press, 1985), 5, 56, 57. This same desire for multiple witnesses led to attempts at replication in other locations and a complex iconography and literary technology developed to provide visual and written proof of experimentation. See pp. 59–65. ^ Shapin and Schaffer, 58, 59. ^ Klein, Lawrence E. (1 January 1996). "Coffeehouse Civility, 1660–1714: An Aspect of Post-Courtly Culture in England". Huntington Library Quarterly. 59 (1): 31–51. doi:10.2307/3817904. JSTOR 3817904. ^ Darnton, Robert (2000). "An Early Information Society: News and the Media in Eighteenth-Century Paris". The American Historical Review. 105#1 (1): 1–35. JSTOR 2652433. ^ Donna T. Andrew, "Popular Culture and Public Debate: London 1780", This Historical Journal, Vol. 39, No. 2. (June 1996), pp. 405–23. ^ Andrew, 406. Andrew gives the name as "William Henley", which must be a lapse of writing. ^ a b Israel 2001, p. 4. ^ Maynard Mack, Alexander Pope: A Life, Yale University Press, 1985 p. 437–40. Pope, a Catholic, was a Freemason in 1730, eight years before membership was prohibited by the Catholic Church (1738). Pope's name is on the membership list of the Goat Tavern Lodge (p. 439). Pope's name appears on a 1723 list and a 1730 list. ^ J.A. Leo Lemay (2013). The Life of Benjamin Franklin, Volume 2: Printer and Publisher, 1730–1747. University of Pennsylvania Press. pp. 83–92. ISBN 978-0-8122-0929-7. ^ Bullock, Steven C. (1996). "Initiating the Enlightenment? : Recent Scholarship on European Freemasonry". Eighteenth-Century Life. 20 (1): 81. ^ Margaret C. Jacob's seminal work on Enlightenment freemasonry, Margaret C. Jacob, Living the Enlightenment: Free masonry and Politics in Eighteenth-Century Europe (Oxford University Press, 1991) p. 49. ^ Margaret C. Jacob, "Polite worlds of Enlightenment," in Martin Fitzpatrick and Peter Jones, eds. The Enlightenment World (Routledge, 2004) pp. 272–87. ^ Jacob, pp. 20, 73, 89. ^ Thomas Munck, 1994, p. 70. ^ Denis Diderot (1769). "D'Alembert's Dream" (PDF). ^ Jacob, 139. See also Janet M. Burke, "Freemasonry, Friendship and Noblewomen: The Role of the Secret Society in Bringing Enlightenment Thought to Pre-Revolutionary Women Elites", History of European Ideas 10 no. 3 (1989): 283–94. ^ Neil L. York, "Freemasons and the American Revolution", The Historian Volume: 55. Issue: 2. 1993, pp. 315+. ^ Janson, H. W.; Janson, Anthony (2003). A Basic History of Art. New York: Harry N. Abrams, Inc. pp. 458–74. Chisick, Harvey. Historical Dictionary of the Enlightenment. 2005. 512 pp. Delon, Michel. Encyclopædia of the Enlightenment (2001) 1480 pp. Gay, Peter. The Enlightenment: The Rise of Modern Paganism (1966, 2nd ed. 1995), 952 pp. excerpt and text search vol 1. Israel, Jonathan I. (2010). A Revolution of the Mind: Radical Enlightenment and the Intellectual Origins of Modern Democracy. Princeton. Sarmant, Thierry (2012). Histoire de Paris: Politique, urbanisme, civilisation. Editions Jean-Paul Gisserot. ISBN 978-2-7558-0330-3. Edelstein, Dan. The Enlightenment: A Genealogy (University of Chicago Press; 2010) 209 pp. Golinski, Jan (2011). "Science in the Enlightenment, Revisited". History of Science. 49 (2): 217–31. Bibcode:2011HisSc..49..217G. Israel, Jonathan I. (2001). Radical Enlightenment; Philosophy and the Making of Modernity 1650–1750. Oxford University Press. Israel, Jonathan I. (2006). Enlightenment Contested. Oxford University Press. Israel, Jonathan I. (2011). Democratic Enlightenment: Philosophy, Revolution, and Human Rights 1750–1790. Oxford University Press. Schmidt, James (2003). "Inventing the Enlightenment: Anti-Jacobins, British Hegelians, and the 'Oxford English Dictionary'". Journal of the History of Ideas. 64 (3): 421–43. JSTOR 3654234. Zalta, Edward N. (ed.). "Enlightenment". Stanford Encyclopedia of Philosophy. Judith Still; John Marks; Rebecca Ford. "Enlightenment". Words of the World. Brady Haran (University of Nottingham). Denis Diderot was a French philosopher, art critic, and writer, best known for serving as co-founder, chief editor, and contributor to the Encyclopédie along with Jean le Rond d'Alembert. He was a prominent figure during the Enlightenment. A salon is a gathering of people under the roof of an inspiring host, held partly to amuse one another and partly to refine the taste and increase the knowledge of the participants through conversation. These gatherings often consciously followed Horace's definition of the aims of poetry, "either to please or to educate". Salons in the tradition of the French literary and philosophical movements of the 17th and 18th centuries were carried on until as recently as the 1940s in urban settings. Progress is the movement towards a refined, improved, or otherwise desired state or, in the context of progressivism, the idea that advancements in technology, science, and social organization can result in an improved human condition; the latter may happen as a result of direct human action, as in social enterprise or through activism, or as a natural part of sociocultural evolution. The Lumières was a cultural, philosophical, literary and intellectual movement of the second half of the 18th century, originating in France and spreading throughout Europe. It included philosophers such as Baruch Spinoza, John Locke, Pierre Bayle and Isaac Newton. Over time it came to mean the Siècle des Lumières, in English the Age of Enlightenment. The Modern Greek Enlightenment was the Greek expression of the Age of Enlightenment. The history of science during the Age of Enlightenment traces developments in science and technology during the Age of Reason, when Enlightenment ideas and ideals were being disseminated across Europe and North America. Generally, the period spans from the final days of the 16th and 17th-century Scientific Revolution until roughly the 19th century, after the French Revolution (1789) and the Napoleonic era (1799–1815). The scientific revolution saw the creation of the first scientific societies, the rise of Copernicanism, and the displacement of Aristotelian natural philosophy and Galen’s ancient medical doctrine. By the 18th century, scientific authority began to displace religious authority, and the disciplines of alchemy and astrology lost scientific credibility. The Age of Enlightenment dominated advanced thought in Europe from about the 1650s to the 1780s. It developed from a number of sources of “new” ideas, such as challenges to the dogma and authority of the Catholic Church and by increasing interest in the ideas of science, in scientific methods. In philosophy, it called into question traditional ways of thinking. The Enlightenment thinkers wanted the educational system to be modernized and play a more central role in the transmission of those ideas and ideals. The development of educational systems in Europe continued throughout the period of the Enlightenment and into the French Revolution. The improvements in the educational systems produced a larger reading public which resulted in increased demand for printed material from readers across a broader span of social classes with a wider range of interests. After 1800, as the Enlightenment gave way to Romanticism, there was less emphasis on reason and challenge to authority and more support for emerging nationalism and compulsory school attendance.